Home / Why pay the premium for smart devices??? Code and schematics soon on Github once polished. We all know how important it is for our health to control the humidity in the house. That’s why I wanted to get a dehumidifier (my area never suffer from too low humidity). But going to the store I realised that the smart version of the exact same model was 40-50% more expensive! That’s insane. Adrenaline quickly kicked in and I imagined that by simply using HestiaPi and a Sonoff smart plug I could have a simple on/off control with humidity setpoints. My dehumidifier has this feature called “Resume after power failure” which means that if the power is cut while it is on, reconnecting power will make it start too. If power was cut while it was off, reconnecting power will do nothing. So as long as I control it exclusively from Sonoff I start and stop it as needed. So there you have… My dumb dehumidifier is now semi-smart (without the price tag)! By the way MQTT over WiFi is used for communication. My idea was to fit something inside the dehumidifier that would register the presses on the touch panel for power and also detect the full tank indicator. So my beloved ESP8266 came again to the rescue! …and went ahead to connect them to A0 and A….1? Where is A1? 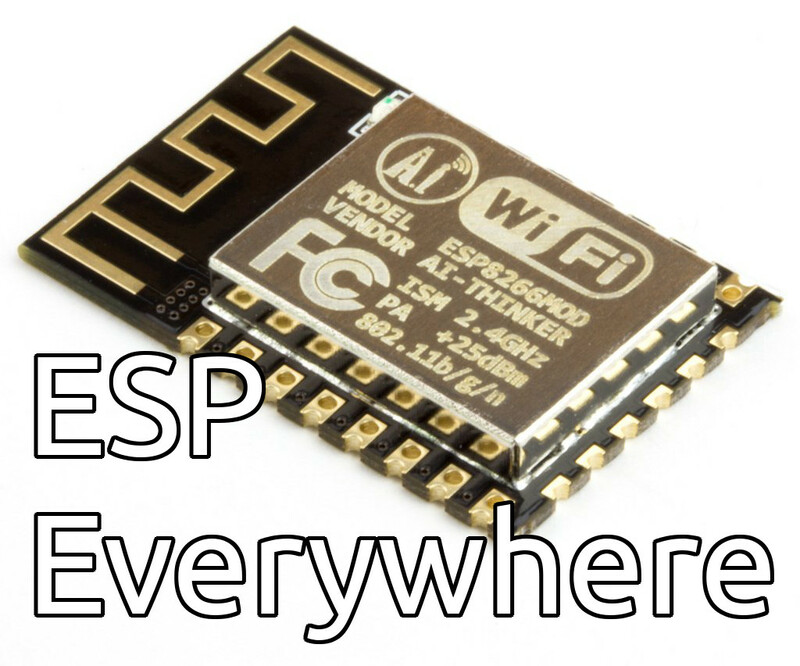 ESP8266 supports only 1 analog pin! ESP3266 supports more exotic features but my relationship so far with 3266 hasn’t been great. Bugs and minimal support of well-known packages are just a few. So I was stuck with 8266. I had to make it work. I had lying around a board for LDR that output a digital signal 1/0 – preset with a pot, so quickly I used D1, adjust the pot to not read neighbour LED and I had both LED register correctly on my ESP and log over USB-to-serial to my computer. Next and last task, mimic the touch event. The touch button had a spring like coil below the plastic panel that would detect capacitance change. Apparently if you short this contact to ground and disconnect, you get a touch event. To avoid ground loops and other unpleasant situations involving smoke, I used an optocoupler to completely isolate my circuit with the dehumidifier. That’s it below lying on its back. Yellow is the ground. The soldered pin is the coil contact. The other 2 pins are to go to 3.3V via that (10K?) resistor and the furthest to D0 for signal. Insulating everything from electricity and stray light rays I added my favourite 3.3V isolated regulated power supplies from Hi-Link. All that space for me! My dehumidifier had a very large empty partition at the top like it knew I would need it! Being at the top doubles as the furthest away place from that WiFi-blocking metal compressor! Setpoint item=HumiBoostTime minValue=10 maxValue=120 step=10 icon="clock"
Setpoint item=HumiSetpoint minValue=0 maxValue=100 step=5 icon="humidity"
So to recap… all 4 points that need to be addressed are solved and I get notifications of full tank on my phone so that I can decide if I want to act upon or not wake up at all in the middle of the night because my phone is on silent. Beat that [CONSUMER_BRAND_HERE] smart dehumidifier! We have put a “coming soon” page for our crowdfunding campaign page here where you can leave your email to be notified when it starts! The page gets continuously updated with new stuff so this is a “quiet” announcement. When it is ready (Feb 2019) we will shout!